What are the benefits of training in the morning vs evening? – Ride. Write. Repeat. What are the benefits of training in the morning vs evening? I mentioned in my last post that I’ve been tinkering back into tri life recently, upping the variety, and doing more high intensity sessions across the 3 sports, rather than supplementing hard bike rides with easy commutes – as one would when training one discipline only. Strangely, I’ve found the increase in short, sweet, hard sessions – more 3-5minute intervals and 100m reps than 2hr easy rides – has led to me to get back on the ‘morning training’ train. I’ve always followed a routine of ‘hard in the morning’ and ‘easy in the evening’. Scientifically, this isn’t too smart. Studies have shown that the majority of people can dig deeper in the evening – with higher vo2 capacity, higher body temperature, and heart rates reaching numbers closer to their maximum. 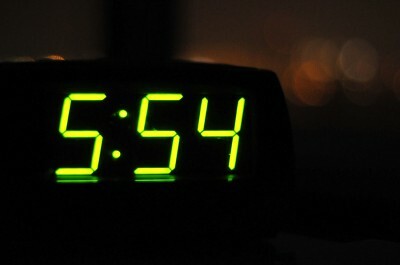 Despite all this, many athletes still choose the early hours to get training – which made me wonder – what are the pros and cons? Nothing can get in the way, really – except perhaps traffic on the way to the gym (not likely at 6am). 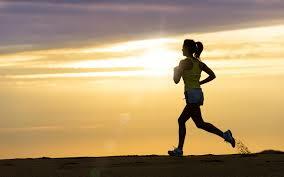 Evidence suggests people who train in the morning are more consistent. Racing to work. I usually get to work at about 8.30… I can’t turbo/run at home (traffic), so instead go to the gym. By the time it’s open, I’ve got 75mins max to train, then about 2.5mins to have a shower, get dressed, get in the car. I sometimes end up wearing tights that don’t match etc. Get home, eat, pass out, wake up, start again. No time for evenings in, and getting other jobs done. From my “extensive” research, it looks to be that performance is greater in the evening. The body is ready to go, you just need to wade through the sluggish feelings of resentment and excuses that sometimes present themselves after a day at work. A scientist would probably conclude then that training should take place in the early hours of the evening. However – I’m not a scientist, I’m a human, and in my mind nothing beats consistency, and nothing beats WANTING to train. Bringing emotions into the matter, nothing beats feeling unbeatable all day – that’s why I’d rather get it all out before 8.30am. Anything can happen over a day at work – and I’d like to get mine kick started with a puddle of sweat and a beating heart. I’m a natural morning exerciser and prefer it, despite the supposed physical benefits of training in the evening. I find the cons of evening exercise a bigger challenge than the cons of morning training. Ultimately, it’s person-specific and I think people should just do what takes them the least activation energy! Totally agree. I just wish my gym opened at 6.30am like me old one (owned by same company), not 7am like the new one… means I can only really do an hour session when I’d often like to do 75min/90min – and I never stretch properly!